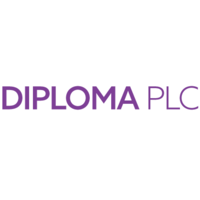 Diploma PLC (LON:DPLM), the international group of businesses supplying specialised technical products and services, is today issuing its first quarter trading update in respect of the year ending 30 September 2019, ahead of the Company’s AGM to be held today at 12.00, midday. The Group has made a solid start to the year with overall trading in line with expectations. Reported Group revenues in the first quarter ended 31 December 2018 increased by 9% over the comparable period last year. At constant exchange rates, Group revenues increased by 8%, with acquisitions completed last year, net of a small disposal, contributing 4% and underlying growth of 4%. The weakening of UK Sterling during the past quarter provided a small benefit of 1% to reported Group revenues. In the Life Sciences Sector, reported and underlying revenues were up 4%, supported by encouraging growth across several revenue streams, particularly in the Canadian Surgical and Endoscopy businesses. In the Seals Sector, reported revenues increased by 2% (up 3% on an underlying basis) driven by the continuation of strong trading in the International Seals businesses. In International Seals, underlying revenues were up 11% against a weak comparative, supported by good growth from more robust Oil & Gas markets and recent contract wins. In North America, underlying revenues were 3% below a very strong comparative last year. In the Industrial OEM business revenues were impacted in the first quarter by some delays in deliveries in the initial weeks of their ERP implementation. However, demand remained solid in the quarter and revenues are expected to be recovered in the coming months. Underlying Aftermarket sales remained robust and were 1% ahead of a very strong comparative last year. 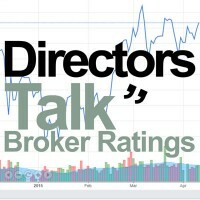 In the Controls Sector, reported revenues were up 24% reflecting the contribution from FS Cables and Gremtek acquired in August 2018 and October 2018, respectively. Underlying revenues were up 6% with strong contributions from the IS Group and Clarendon Specialty Fasteners businesses driven substantially by continuing robust demand in the Aerospace and Defence sectors. The Group’s operating margin in the first quarter remained in line with expectations and slightly below the comparable period last year. The Group maintains a robust balance sheet and has a proven track record of strong cash generation which the Group seeks to reinvest in acquiring new businesses to accelerate growth. Cash funds at 31 December 2018 were ca. £28m. The Company has made a separate Announcement today confirming that Johnny Thomson has been appointed as Chief Executive Officer of Diploma PLC. 1. This trading update is based upon unaudited management accounts and has been prepared solely to provide additional information on trading to the shareholders of Diploma PLC. It should not be relied on by any other party for other purposes. Certain statements made in this update are forward-looking statements. Such statements have been made by the Directors in good faith using information available up until the date that they approved this Statement. Forward-looking statements should be regarded with caution because of the inherent uncertainties in economic trends and business risks. Click DPLM for the full archive.